Seymour Gourlay Dunn, was born in 1882 in North Berwick, Scotland. His father designed more than 100 courses in Scotland and his uncle designed the famed Shinnecock Hills Golf Club on Long Island. He was 15-years-old when he first visited the United States in June 1897. During that vacation he laid out a nine-hole course at the Lawrenceville School in New Jersey. In 1899 Dunn was appointed pro at the Societe Golf de Paris and laid out several courses in Europe including the first golf course in Belgium as well as a course for King Immanuel of Italy. Dunn made his reputation as a golf guru with many of the top pros including Jim Barnes, Walter Hagen and Gene Sarazen. Dunn would demonstrate the correct swing plane by using an imaginary pane of glass. This was copied by Ben Hogan in his book “Five Lessons,” with no mention of the source. Later, Hogan acknowledged he was inspired to adopt many of Dunn’s swing theories. Dunn wrote the Golf Fundamentals – Orthodoxy of Style which Golf Digest once included in a list of classic instruction books. He wrote articles for golf magazines and designed many courses around the northeast including Monmouth (New Jersey) Country Club in 1926; Craig Wood Golf and Country Club in 1926, Locust Hill Country Club in 1927 and Ticonderoga Country Club in 1929. 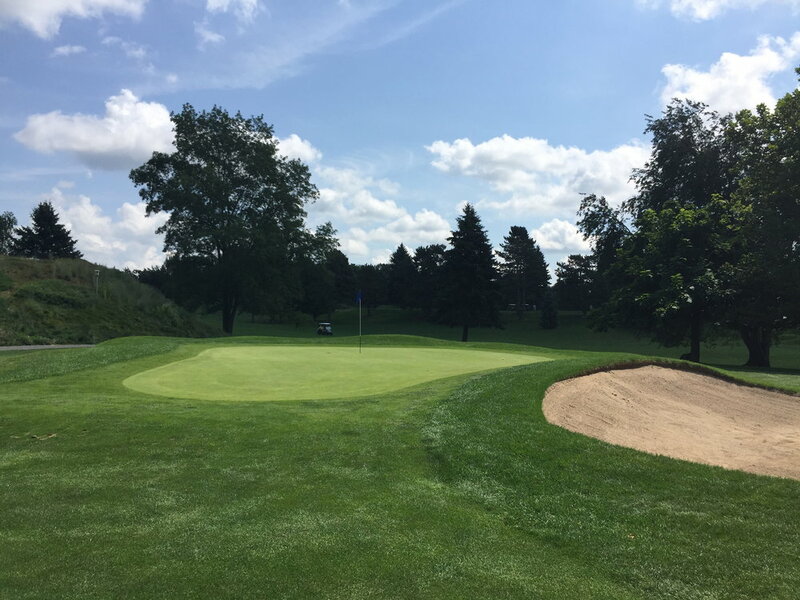 He also laid out the course at Saranac Inn Golf and Country Club with his uncle Willie Dunn, Jr., which he considered to be his best work and Lafayette Hills Country Club. In 1929 set up an indoor golf school in Madison Square Gardens with 30 instructors and 18 pitch and putt holes. Letter to Tuscarora Members from Seymour Dunn "1924"